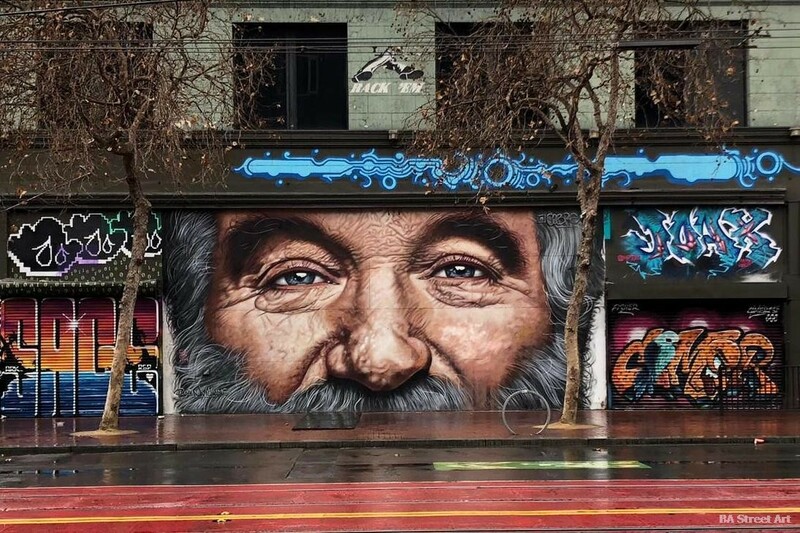 Argentine street artist Niño de Cobre was in San Francisco, U.S.A. a few months ago and painted this portrait of actor Robin Williams. Photos by Buenos Aires Street Art. Niño de Cobre (real name Andrés Iglesias) is from Santa Fe, Argentina and was invited to the U.S.A. in August 2018 to paint a large-scale mural in Lafayette, Indiana. 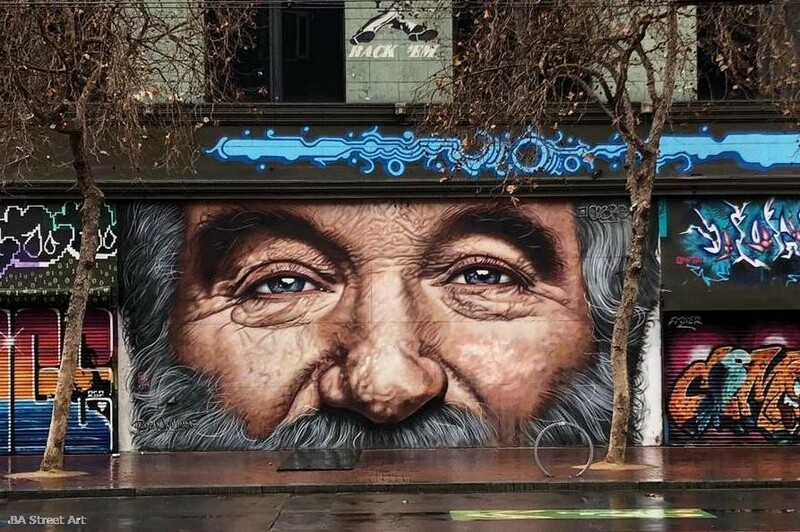 At the end of this trip, NDC found time to paint this mural of Robin Williams from the movie Patch Adams. The mural by NDC can be found along Market Street between 6th and 7th streets in San Francisco. 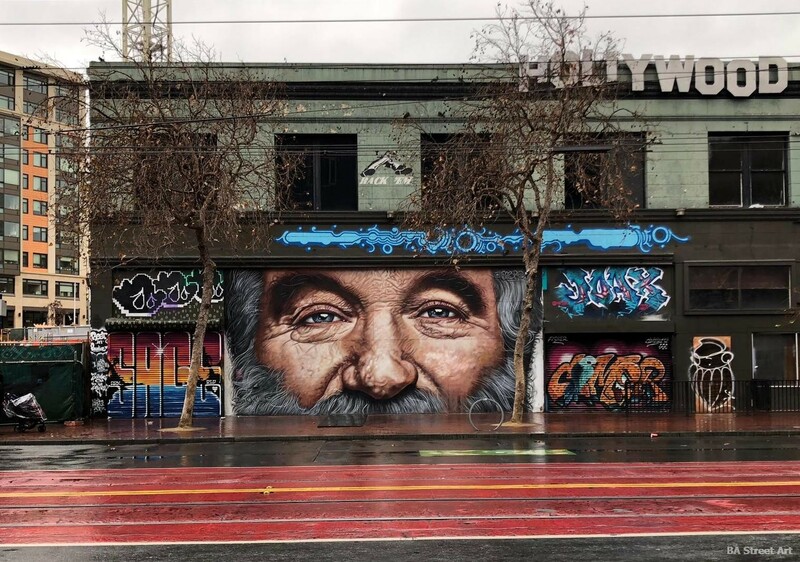 This entry was posted by admin in News and tagged Andrés Iglesias street artist, NDC Media, Niño de Cobre, Niño de Cobre street artist, Patch Adams mural, Robin Williams mural, San Francisco street art.